Passengers will find gay and lesbian travelers on just about any cruise, but some companies offer specialized sailings catering specifically to gay cruisers. All-gay charter companies, such as Atlantis Events (focused on gay men) and Olivia (exclusively for lesbians), charter entire cruise ships -- from large, mainstream ships and smaller luxury ships to riverboats -- and customize the whole trip. The charters work closely with the cruise line to develop itineraries, and they always bring aboard their own group of entertainers, musical guests and speakers. Major cruise lines that frequently host LGBT charter cruises include Celebrity, Holland America, Royal Caribbean, Oceania and Azamara. Here, we introduce you to the main charter companies catering to LGBT cruisers, and provide a preview of upcoming gay and lesbian charter cruises. This information, with specific dates, offers a snapshot of some of the adventures, but it's not meant to serve as a comprehensive calendar. Refer to each company's website for any updates or additions. Be aware that some gay and lesbian cruises sell out very quickly. Atlantis continues to be the dominant player in the gay cruising industry by chartering the biggest and most glamorous ships afloat -- such as Royal Caribbean's 5,479-passenger Harmony of the Seas, which was used for the largest-ever all-gay cruise in January 2018. 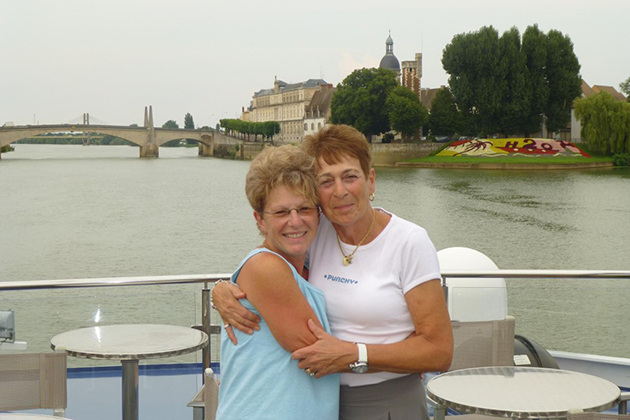 Brand g Vacations also has made its way to the forefront, with the widest selection of LGBT river cruises. 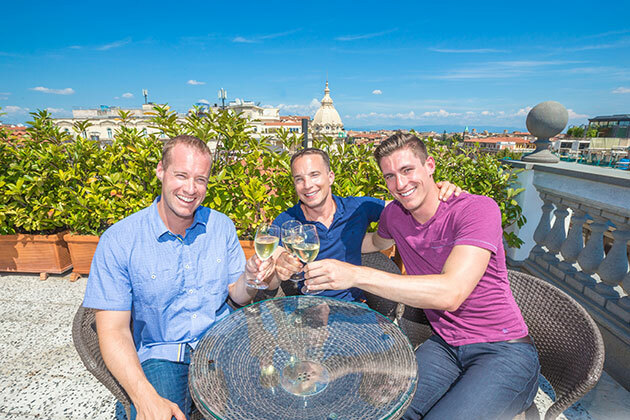 Olivia recently celebrated its 40th anniversary as a company (with 20+ years in gay travel, specifically). The newest member to the gay charter cruising sector is VACAYA, which kicks off its inaugural cruise in August 2019; it is run by former executives from Atlantis and RSVP Vacations. Other players in the market offer smaller, more intimate full-ship gay charters -- including Source Events (which also offers partial charters) and r Family Vacations. Houston-based travel agency Concierge Travel has made a name for itself by expanding the market through high-quality, lively gay-affinity groups aboard regularly scheduled cruises (i.e., partial, not full-ship, charters). Note: Partial charters are not listed below, but you can find more details on each company's website. Gay and lesbian charter companies conduct extensive research before committing to a foreign destination. There have been well-publicized incidents of all-gay charters facing opposition and scattered protests at ports in such countries as Grand Cayman, Jamaica and Turkey, so the gay charter companies generally steer clear of controversy and head to the "greatest hits" port stops, mostly in the Caribbean and Europe. Gay travelers should be aware that, in some ports, they might be faced with different levels of social tolerance. Get the best of both -- sun-kissed beaches and cities rich in history and culture -- on Europe's Largest Gay Cruise hosted by Atlantis. 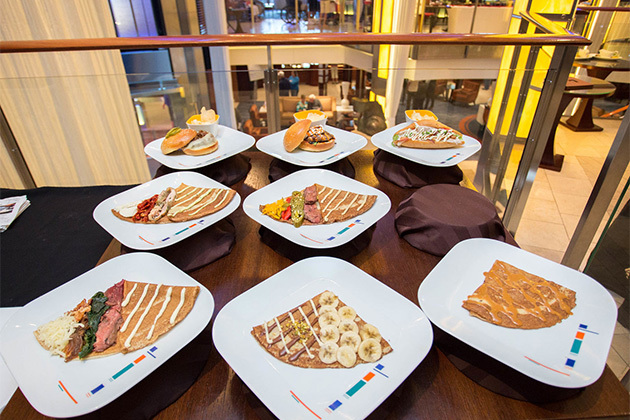 For seven nights, Royal Caribbean's Oasis of the Seas will treat more than 5,000 cruisers to an exotic Mediterranean itinerary as well as an array of dance parties, performances by guest acts and other themed activities. Port stops include Palma de Mallorca, Marseille, Florence, Rome and Naples, all round-trip from Barcelona. Fares start at $1,199 for an inside cabin, based on double occupancy. Feeling adventurous? Sail to Alaska with Olivia, where you can kayak, hike, witness breathtaking glaciers and get up close and personal with wildlife. After a long day, relax in a hot tub under the midnight sun. The cruise will begin in Seattle and end in Victoria, B.C., and include visits to Ketchikan, Tracy Arm (scenic cruising), Juneau and Skagway. Fares start at $1,499 for an inside cabin, based on double occupancy. Soak up some sun, make a splash in crystal-clear waters and immerse yourself in Cuban culture, on Olivia's Cuba and Caribbean Cruise. The weeklong sailing on Holland America Line's Veendam will take passengers to Cuba's Havana (overnight stay) and Cienfuegos, before calling on the Cayman Islands and Cozumel, round-trip from Fort Lauderdale. Onboard entertainment will include comedians, musicians and speakers hand-picked by Olivia. Fares start at $1,799 for an inside cabin, based on double occupancy. An intimate luxury adventure awaits on this Olivia cruise to Cyprus, Jerusalem and Santorini, round-trip from Athens. Marvel at Cyprus' medieval Limassol Castle, explore local markets and wander the streets of gay-friendly Tel Aviv before returning to Azamara Pursuit for Olivia-tailored entertainment. 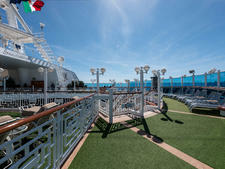 Passengers also have the option to extend their trip with a pre- or post-cruise land package. Fares start at $3,599 for an inside cabin, based on double occupancy. Raise a glass of Portuguese wine with fellow Brand g cruisers as you sail past the rolling hills and vineyards of the Douro River Valley. The nine-night, all-LGBT river cruise begins in Madrid -- where cruisers will have three days to take in the city and Gay Pride festivities (a two-night hotel stay is included). It will then make its way to Porto, Portugal, stopping in charming small towns along the way. Complimentary wine, beer, spirits, coffee, tea, mineral water and soft drinks are offered onboard. Fares start at $3,799 for a standard cabin, based on double occupancy. Cruisers on the luxurious 28-suite Ganges Voyager can get up close and personal with this unique destination, enjoying visits to the UNESCO World Heritage sites of Humayun's Tomb and Qutab Minar; the ancient Mughal capital of Old Delhi; and the Hazarduari Palace in Murshidabad, among other landmarks. Various hotel stays and meals -- as well as complimentary beer and wine with lunch and dinner, onboard the ship -- are included in the cruise package. 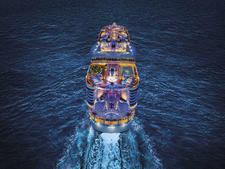 Fares start at $6,799 per person, based on double occupancy. Relish all the Old World charm and beauty the Danube River has to offer. Passengers on the 162-passenger Amadeus Queen will begin their cruise with a two-night hotel stay in Prague, where they can enjoy a half-day tour and daily buffet breakfast. The seven-night cruise will then depart from Passau toward Budapest, for its cruise through Germany, Austria, Slovakia and Hungary. 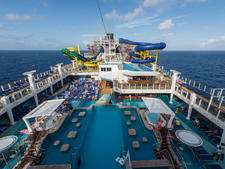 Fares for this cruise start at $3,599 per person for a Panoramic Window cabin, based on double occupancy. Brand-new gay charter cruise company VACAYA is going big for its inaugural sailing. It will become the largest all-gay cruise to ever attend Cape Cod's famed festival, Provincetown Carnival -- with an overnight stay to prolong the celebrations. Round-trip from New York City, the Ptown Cruise on Celebrity Summit will include stops in Saint John, New Brunswick and Bar Harbor, Maine, in addition to the two days spent in Provincetown, Massachusetts -- all while offering themed activities and nighttime entertainment onboard. Fares start at $997 per person, based on double occupancy. Choose between two itineraries -- Amsterdam to Nuremberg or Nuremberg to Budapest -- to enjoy the magical scenery of Europe's Christmas Markets on Emerald Waterways' Emerald Star. 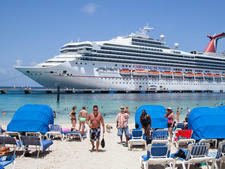 Passengers also won't have to worry about paying out of pocket for many extras, as the cruise includes soft and alcoholic beverages, select shore excursions, Wi-Fi, transfers and gratuities. Fares for VACAYA's Christmas Markets River Cruise start at $2,149 per person, based on double occupancy.